Every once in a while I like to spend a little more time and effort making dinner. During the week I’m all about easy, fast recipes, because let’s be honest who wants to come home after a long day at work and have to spend a lot of time trying to get dinner on the table. Not me and I work from home! The weekend however, especially Sunday, is a great time to try out a new recipe or cooking technique that you wouldn’t normally. This doesn’t mean spending hours in the kitchen, trust me I’d rather spend my afternoon out on a hike or bike ride, but it does mean spending more than 30 minutes. 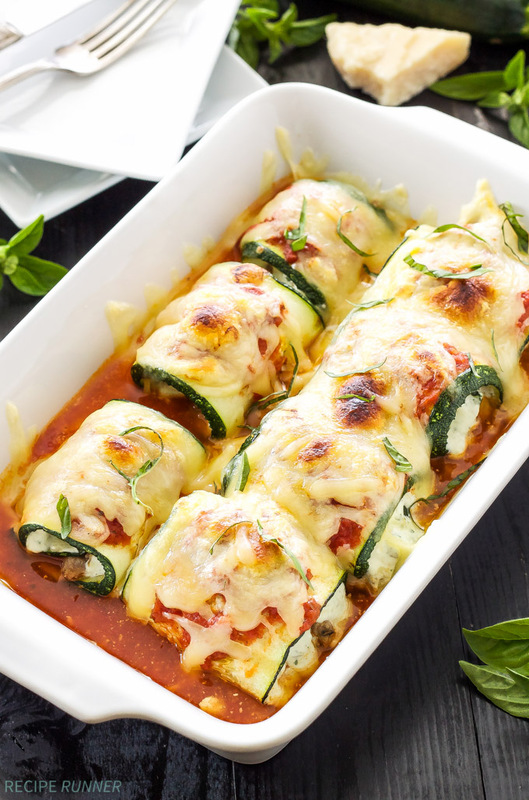 These Zucchini Lasagna Rolls were not only a new recipe, but a new technique that I tried last weekend and I absolutely loved how they turned out!